Poland has vowed to protect Hungary against EU sanctions, one day after the Polish president belittled Europe in a speech. “Poland will vote against any sanctions on Hungary in the forum of European institutions,” the Polish foreign ministry said in a statement on Wednesday (12 September). The European Parliament’s vote, earlier the same day, to trigger a sanctions procedure against Hungary over its violations of EU values and rule of law, was “disturbing” the Polish ministry said. “Every EU member state has the sovereign right to implement internal reforms that it considers to be right,” it added. The statement comes after the European Commission last year launched the same punitive procedure against Poland for the same reasons. It means Budapest and Warsaw will both face detailed EU scrutiny on a host of issues ranging from judicial reforms, to free press, civil society, and minority rights. But Poland’s intervention also means that the process is unlikely to end in sanctions – suspension of voting rights in the EU Council – in either case, with Hungary having promised to veto such a decision on Poland and, now, vice versa. 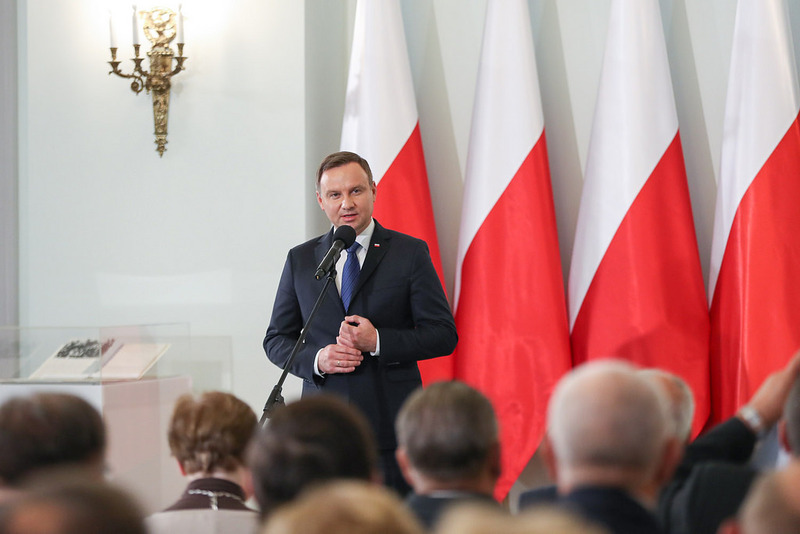 The Polish ministry’s remarks came one day after Polish president Andrzej Duda, an ally of the ruling Law and Justice party, attacked the EU in a speech in Lezajsk, a town in the south-east. The EU was an “imaginary community from which we don’t gain much”, he said. “They [the EU] should leave us in peace, and allow us to fix Poland, because that’s the most important thing,” he said, referring to the EU sanctions procedure. “Of course we have the right to have expectations towards Europe – especially towards the Europe that left us to be the prey of the Russians in 1945 – but above all we have the right to rule ourselves here on our own and decide what form Poland should have,” he added. His words attracted opprobrium from opposition politicians. Duda’s words were “irresponsible” and intended to “harm European unity”, Aleksander Kwasniewski, Poland’s former president said in an open letter on Wednesday. “If they came from momentary emotions, I would urge greater thoughtfulness. If they came out of some deeper strategy, I must warn that this goes against the Polish raison d’état,” he said. “The president’s words … were shocking and harmful,” Grzegorz Schetyna, Poland’s former foreign minster said on Twitter. “They isolate Poland and, above all, they demoralise our young generation, which knows that our membership in Europe is an epochal achievement,” he said. 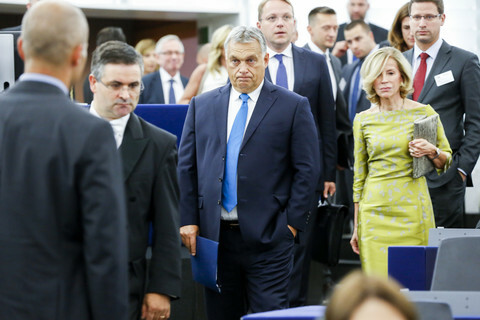 Meanwhile, if the EU sanctions procedures risk hardening anti-EU forces in central Europe, they also risk pushing Hungary into a deeper alliance with Russia. Hungary’s foreign affairs spokesman, Peter Szijjarto, said on Wednesday that Orban would meet Russian leader Vladimir Putin in Moscow next Tuesday to discuss energy supplies and infrastructure investments. “[Our] long-term gas supply deal with expire at the end of 2020 or already at the end of 2019 – we will see the Russian position on that,” Szijjarto said. “We have to find a way in order to minimise our losses … which were caused by the regime of the sanctions in the last years,” he added, referring to EU sanctions imposed on Russia over its invasion of Ukraine.